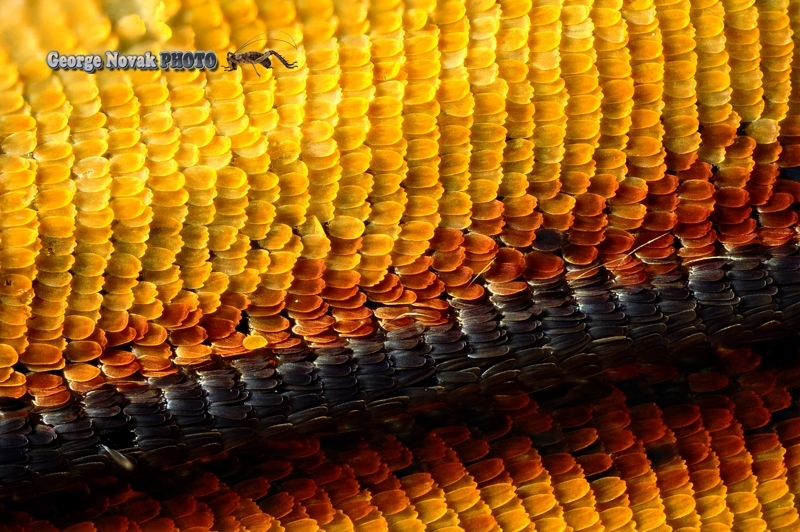 Monarch butterfly wing scales. If you ever touched a butterfly you will notice a fine powder on your fingers. That powder is actually tiny scales covering the wing. Photo taken at 12x optical magnification.